The vote took place a day before more than 30 civic and business groups vowed to defeat Prop 112. 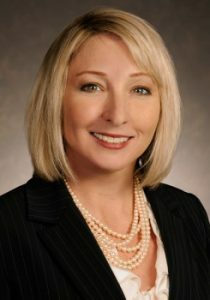 The coalition includes the Denver Metro Chamber of Commerce, Club 20, the Colorado Association of Commerce and Industry, the Colorado Municipal League, and the Colorado chapter of the National Federation of Independent Business, according to a statement released by Vital for Colorado, a statewide group of business leaders focused on energy policy. “I’m going to support the opposition,” Thornton City Councilmember Jacque Phillips, a Democrat, said in favor of voting for a resolution opposing Prop 112. “Also important to me is representing my constituents, and I know very well where constituents in Ward 1 fall on this because we have so many people that are union employees, that have jobs in oil and gas, and this is literally taking food off their table and that is something that we will never do,” she argued. “I strongly oppose this [Prop 112],” Phillips said, noting that job loss concerns were paramount for her and her constituents. She also pointed to potential legal battles and cost to taxpayers, and even questions of the measure’s unconstitutionality. Joining Phillips in supporting the resolution against Prop 112 were Republicans Jan Kulmann, Thornton Mayor Pro Tem, Heidi Williams, Mayor of Thornton, and Jessica Sandgren, and three unaffiliated councilmembers Adam Matkowsky, Sam Nizam, and Sherry Goodman. Kulmann pointed to job losses in the thousands for teachers and state workers in addition to private sector job losses, and an estimated $12-14 million loss for the City of Thornton from revenue in Weld County. “I’m going to take it a step further from what Councilman Nizam said. It is not a moratorium, it’s a flat-out ban,” Kulmann said. “This isn’t about health and safety, because if it was, it wouldn’t treat every location the same, and right now the way this is written, it treats rural farmland the same as populated, urban areas, and the consequences of something like this are just too strong,” Kulmann said. Councilmembers repeatedly cited opposition from the Colorado Municipal League as additional motivation to support the resolution against Prop 112. Loren Furman, Senior Vice President of State and Federal Relations for the Colorado Association of Commerce and Industry said the passage of the measure would affect all Coloradans, not just those working in the oil and gas sector. The study released by Common Sense Policy Roundtable in July found that 77 percent of job losses would fall outside direct oil and gas-related work. Retail trade (11 percent), health care (8 percent), construction (7 percent), and accommodation and food services (6 percent) were among the hardest hit sectors, according to the study. “This ballot measure targets the oil and natural gas industry, but there’s so much more at stake,” said Tony Gagliardi, Director of the Colorado chapter of the National Federation of Independent Business. “The economic damage from Proposition 112 could literally trigger a recession in Colorado, and our coalition will make sure voters fully understand the consequences of this deceptively written ballot measure,” Gagliardi warned. The one-size-fits-all approach to Prop 112 was particularly concerning to Gagliardi, who noted that the measure makes no distinction between urban, populated areas and more rural ones. “I want to be very clear today where I stand on this, as I said during the Democratic primary. I oppose Initiative 97,” Polis said in August. 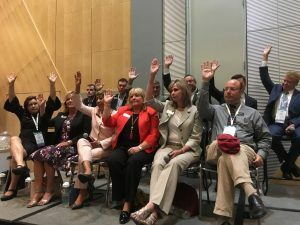 A bipartisan panel of 3 Democrats and 8 Republicans at a Colorado Oil and Gas Association forum also opposed the measure. “I think that 97 does go too far if it’s going to take away jobs from my constituents who feed their families and pay their mortgages on,” she added. “It would basically ban the oil and gas industry from Colorado,” he said. In addition to Republican opposition, like former Colorado Attorney General Gail Norton, other leading Democrats like Gov. John Hickenlooper and former Colorado Attorney General Ken Salazar have also said they oppose Prop 112. Salazar called the idea impractical. “We have to come up with practical solutions that aren’t way off the map in the way the 2,500-foot setback proposal is,” he added. The coalition headed by Vital for Colorado against Prop 112 represents homebuilders, unions, contractors and engineers, real estate developers, chambers of commerce, and farmers and ranchers: Colorado Homebuilders Association, Colorado Association of REALTORS, Colorado Association of Mechanical and Plumbing Contractors, Mechanical Contractors Association of Colorado, Mechanical Service Contractors Association of Colorado, National Certified Pipe Welding Bureau, Colorado Chapter, Colorado Farm Bureau, Northwest Douglas County Economic Development Corp., Housing & Building Association of Colorado Springs, Colorado Cattlemen’s Association, American Council of Engineering Companies (ACEC) of Colorado, South Metro Denver Chamber of Commerce, Metro North Chamber of Commerce, Highlands Ranch Chamber of Commerce, Grand Junction Area Chamber of Commerce, Colorado Business Roundtable, Denver Metro Chamber of Commerce, and the City of Centennial.